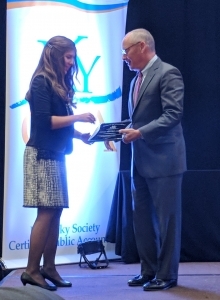 Rachel Short received a letter from the KY Society of CPA’s congratulating her on achieving the highest grade in Kentucky on the Regulation section of the Third Quarter 2017 Uniform CPA Examination. 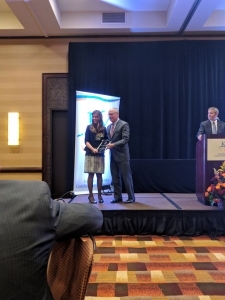 She was selected to receive the Award of Excellence at the Fall Awards Banquet on October 27th in Louisville. We are so proud of her and this wonderful accomplishment!